Garters are the perfect size for hats for 5 inch balloon characters! 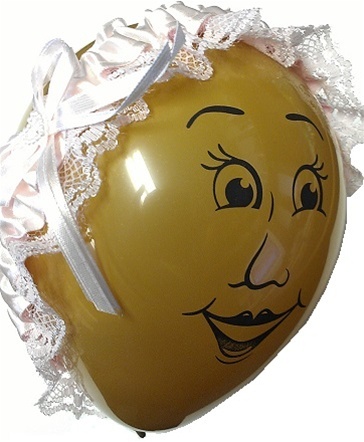 Add some tulle for a fabulous veil for the balloon bride!! !